History is a great and terrible thing. Throughout the times, there were many ugly things that occurred, and many devices used to make those things occur. We’ve compiled a list of some of the cruelest punishments of the ancient world and the Middle Ages. One of the cruelest punishments invented in Ancient Greece, this particular type of torture was just as unpleasant as everything else on this list (you’ll see why in a minute). 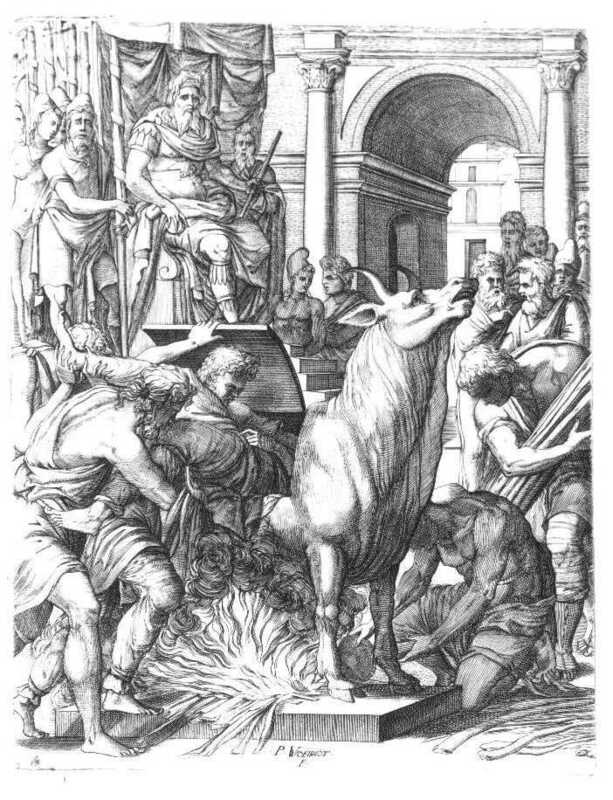 The Brazen Bull was just that – a sculpture of a bull with a fire built underneath it. The victim was placed inside it and slowly roasted to death as the fire burned and the metal grew hotter and hotter. I’m sure you can imagine the pain the victims were in – well, so could the creators of the brazen bull. In fact, they chose the bull because the victims’ screams sounded just like the bellowing of a bull!